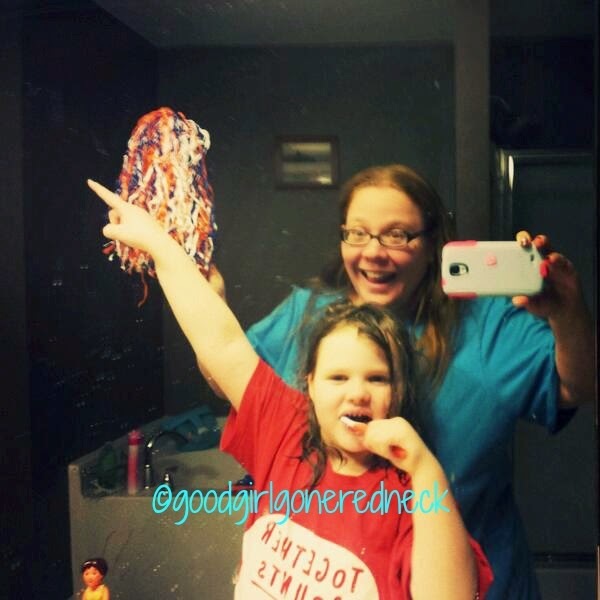 Good Girl Gone Redneck: Oral-B is making brushing fun for our kids! Oral-B is making brushing fun for our kids! This paid/sponsored post is brought to you by the new free Oral-B Disney Timer App as part of a Type-A Parent Community Sponsored Post. All expressed opinions on both, the products received and the app are completely my own (and those of my daughter). Getting our children to brush their teeth isn't always easy. There's whining. Yelling. Crying. Pouting. Bargaining. I've gone as far as cheerleading for my kiddo. Don't believe me? Take a look. See? Toldja. And she's SEVEN. Anyway, we were lucky enough to have been chosen to participate in this great campaign Oral-B has going on right now promoting their new Disney Timer App. Because of this we received a really cute toothbrush with Snow White on it, and some Princess toothpaste. 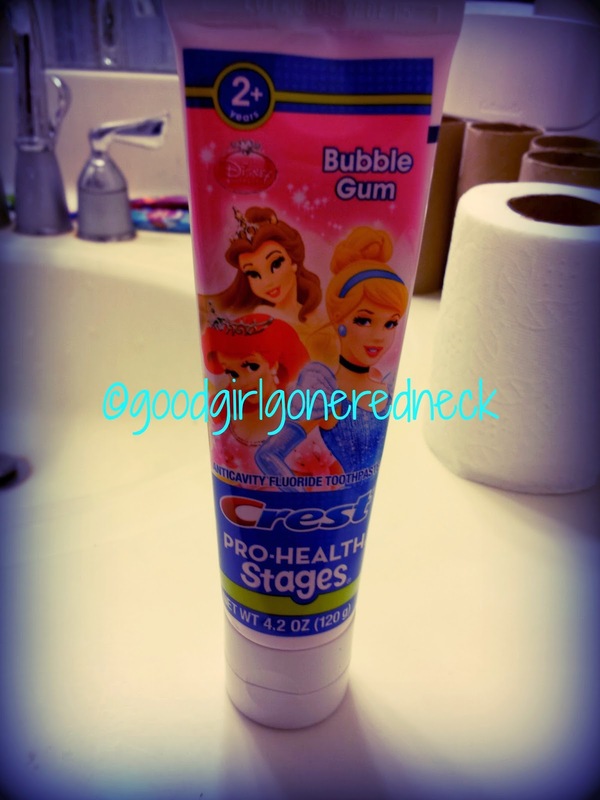 Because every little girl needs Princess toothpaste at least once in their life! Using a kid-friendly toothpaste might have been a bust in our house because at age 7 my daughter is all about being old enough to do whatever mommy and daddy do so I never know how she's going to react to new things. But I needn't have worried at all. She loves it. The toothpaste and the brush. The app. The whole thing. The app is really working in our house. She really loves that she can change her character whenever she wants. Whether it's a princess (which it is. It always is.) or Mike Wazowski, she's been excited to play around with that feature. Once we get our brushes ready to go she marches through the app with determination. For my daughter the rewards have been a lot of fun. Each time she completes a "brush" she gets a virtual sticker added to her collection. It's been an interesting variety of princess images so far, and she even earned a Mickey sticker yesterday - which was very exciting! I tried to take a picture of one of them to share but the app moves pretty quickly so I missed it. Oops. All in all using this new app has been a great experience. It's pretty motivating for her and she now brushes her teeth for either one or two minutes - which is a lot longer than 2-3 swipes through her mouth, a few chews on the bristles and we're done! This app is available on iTunes and in the GooglePlay store and if you've got little ones who get bored while brushing their teeth or just plain "don't wanna!!!" 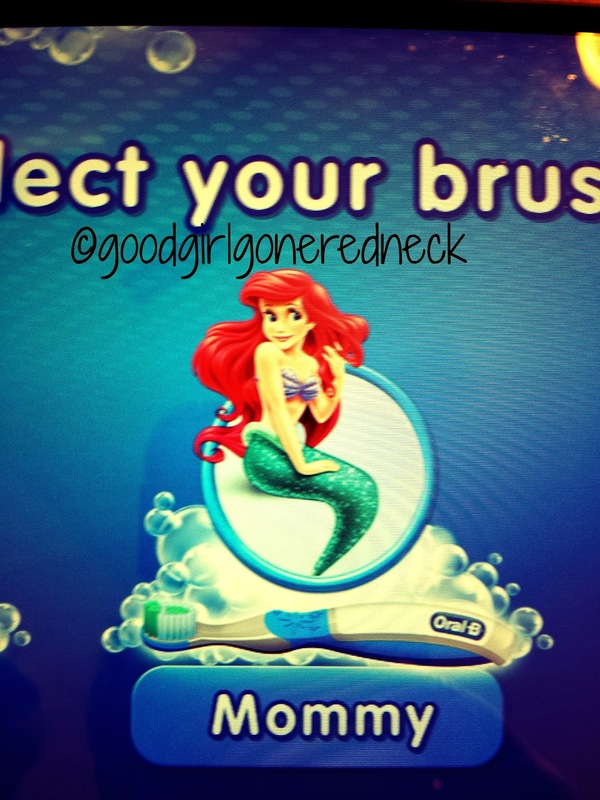 brush them at all? I suggest you check it out today. They're going to really love it. But don't be surprised if they make you work alongside them, too. Because in our house even Mommy gets in on the action ... I haven't earned as many stickers as she has, though. She seems to take over the app when we brush. We were both matching Rapunzels for a little while. And then she decided to switch it up. So I get to be Ariel. For now. But I think that's only because there isn't an option to choose Elsa or Anna. YET. So, from our house to yours ... Happy brushing! This paid post is brought to you by the new free Oral-B Disney Timer App as part of a Type-A Parent Community Sponsored Post. Featuring sixteen of your favorite Disney and Marvel characters, use this app to seamlessly encourage your kids to brush longer. Collect a new digital sticker after each successful two minutes of brushing; track progress with stars and milestone badges on the Brushing Calendar. Longer, happier brushing for your little one is just a download away!